Westfall’s high shear static mixer has a slim profile which allows simple drop-in installation in pipelines from 2″ to 120″. Alternate vortex shedding creates high performance mixing within a limited space. This is a full pipe motionless mixer into which up to six additives can be injected simultaneously or in specifically timed stages. 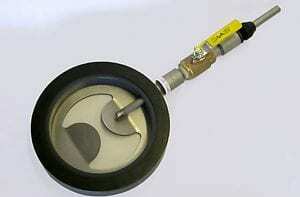 High shear mixing also creates micro-bubbles for effective removal of salt from oil or oil from water. Where space is limited, this affordable static mixer is ideal for municipal and regional infrastructure upgrades. It is available with a wide range of injection ports and quills, and a choice of 3 aperture sizes: .7 BETA, .8 BETA and .9 BETA.. 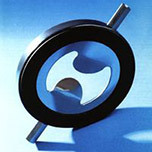 The mixer resists fouling and requires little to no maintenance. CFD Analyses by Alden Laboratories show a CoV range of .008 to .05. K-Values range from 32.59 to 6.78. Westfall High Shear Plate Static Mixer 2800. Low Cost. Easy to ship. Easy to install. The 2800 Static Mixer comes in three orifice ratios so you can choose the one best suited to your injection materials and viscosities. With thicker materials, choose a larger orifice to inhibit nesting. When tested at Alden Labs, the .7 beta opening showed a CoV of .008 and a K-Value of 32, with excellent mixing at 1-3 FPS. The .8 beta opening showed .oo9 CoV and K-Value of 19 with excellent mixing at 3-8 FPS. The .9 beta opening showed a CoV of .050 and K-Value of 7 with excellent mixing at 8-ll FPS. This High Shear Static Mixer Model 2800 is being used to add chlorine to potable water at a water treatment utility in Saudi Arabia. 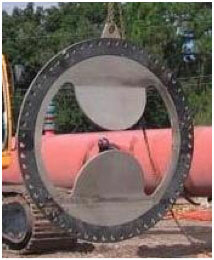 Static Mixer Model 2800 can be made from 2″ to 120″ in diameter. This unit is 72″ plus gasket. Westfall High Shear Static Mixer with 2 Injection Ports. Use: Inject Nitric Acid into Fish Protein Solution. 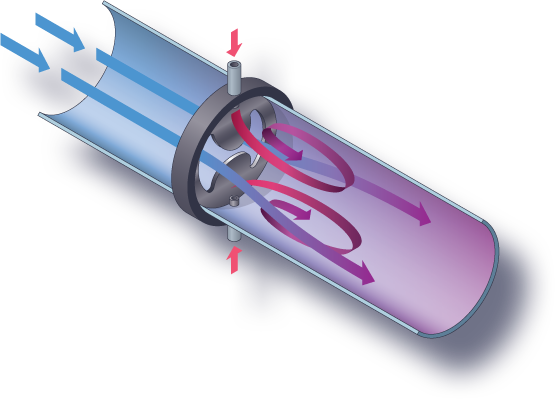 All our Static Mixers, DE Filters and Venturi tubes are custom engineered and manufactured. We still save you time and money. Westfall will not share or sell your information.